Every spring and every fall we bring in the heavy equipment! This is a truck mounted, 100gal. instrument of insect death! Treatment is applied to the perimeter of your home around all windows, doors, soffits and overhangs as well as around the foundation of your home or business. 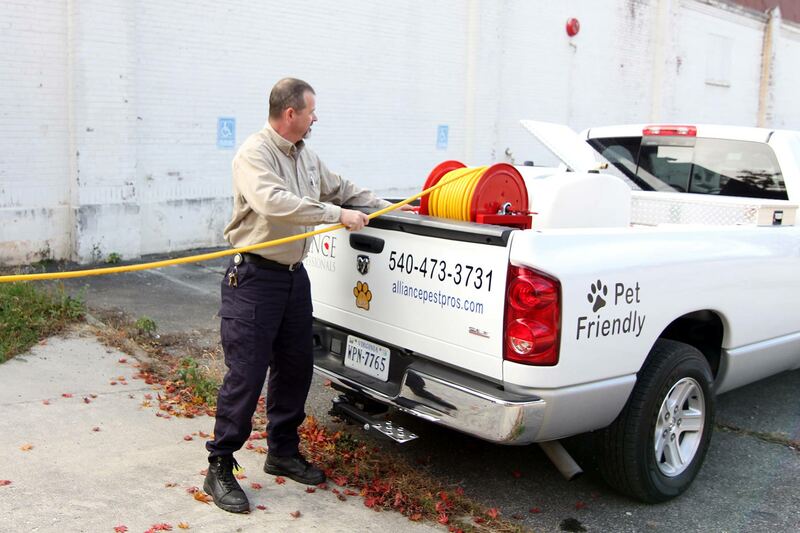 This is the cornerstone of our pest elimination program and the "outside in" approach. We create a barrier between your home or business and the great outdoors. When the perimeter treatment application is performed correctly insects will stop in their tracks. Wasps and Hornets? They will not build their nests on top of this product after application. Click now for your monthly coupon!